The changing of seasons is hard on my skin. Every time we get a big shift in weather, be it a cold front, a storm, or just a string of sunny days, I’ll notice a skin freak out. Sometimes it’s just a bump or two, other times it is dry patches or an oil slick. What I’ve discovered over the years of fine tuning my skin routine is that I need vastly different skincare products depending on the season we are in. Now that we’re on the cusp of summer, I’ve noticed my skin changing once again. Am I the only one noticing this lately? It drives me kind of crazy, but I’m fortunate enough to be able to battle most skin issues with a variety of products that I’ve discovered, and I’m happy to report continue to work for me. If you’re struggling with your skin in between seasons too, I thought I’d share the products that have been helping me tame most of my skin woes. For those with breakout-prone skin, there are fewer things better than a good clay mask. While I was a little hesitant about this one since many are so stripping, the promise of hydration had me intrigued. It turns out the Exfoliating Treatment Mask has become one of my absolute favorite masks ever, and I’ve been using it weekly to combat impurities. The bumps on my nose (sebaceous filaments) instantly feel softer and smoother after a session with this mask, and my skin feels deep cleaned without feeling tight and stripped. If I had to pack one skincare item while traveling, this moisturizer from Josie Maran would be it. It’s pricey, but if you have skin that reacts to sunscreen, I’d recommend trying this. It’s made with a physical SPF ingredients, meaning that applying this blocks the sun’s rays from penetrating the skin. I prefer products with Zinc Oxide as I find they don’t irritate or break out my skin, which this moisturizer relies on. The best thing of all is that I have yet to use a foundation that this reacts to. After trying SPF moisturizer after SPF moisturizer, I’ve discovered that many have ingredients that react with my skin and foundation, which then causes a mess of makeup that breaks up when I apply it over the top. 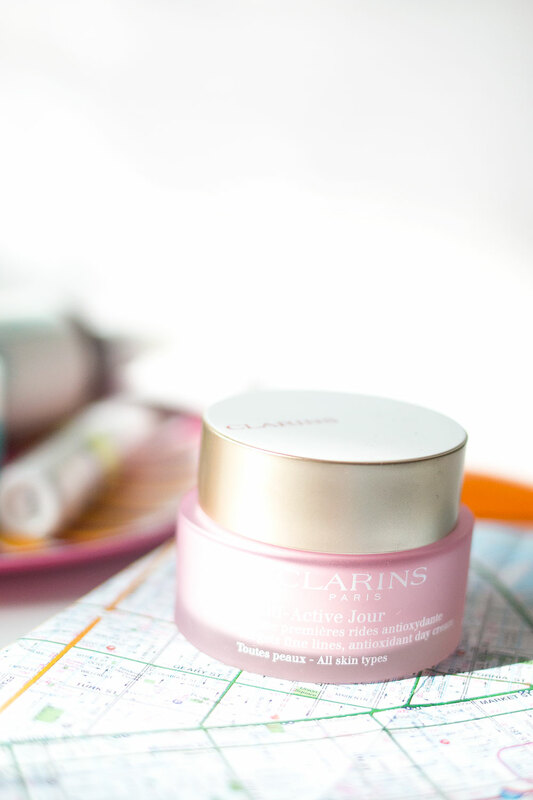 Skincare starts with the perfect base, and this day cream from Clarins is just that. I find it is rich and creamy, without being so heavy that it leaves my skin prone to breakouts. Unfortunately, this particular cream doesn’t have built in SPF protection which is why I include the Josie Maran Moisturizer on my list, but if you don’t mind layering, or have SPF in your makeup, this would be perfect. 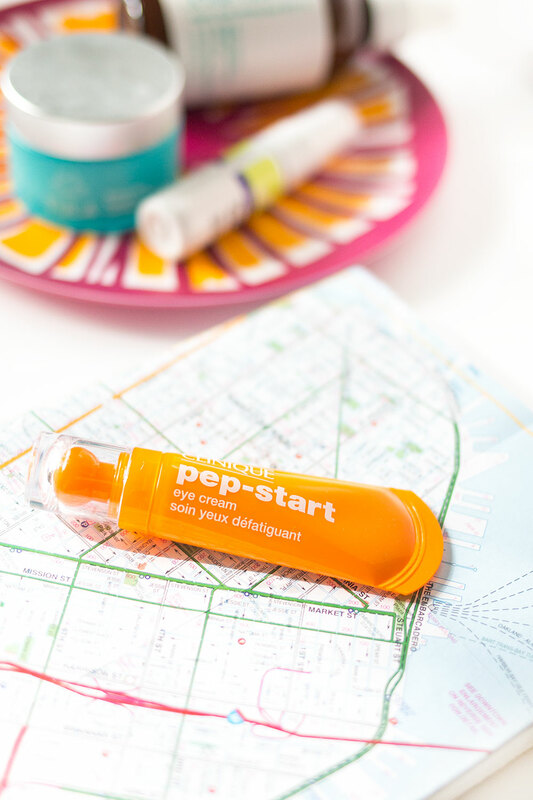 I’ve raved and raved about Clinique’s All About Eyes Eye Cream, but if you’re in the market for something new, Pep-Start may be my new favorite. It’s very similar to All About Eyes, the difference is in the packaging, it’s much more lightweight, and absorbs rapidly into the skin. If I had to complain about my former favorite eye cream, it would be that it was in a jar which you had to stick your fingers in and out of. Not very hygienic, however, the Pep-Start packaging solves this problem in it’s a squeeze tube. This one is worth a peek! I wrote about the derma e Purifying Charcoal Mask recently, and derma e was kind enough to send me a few more products to try from this line. While I don’t typically categorize my skin as normal or oily, what I do like about this line is how they remove impurities. 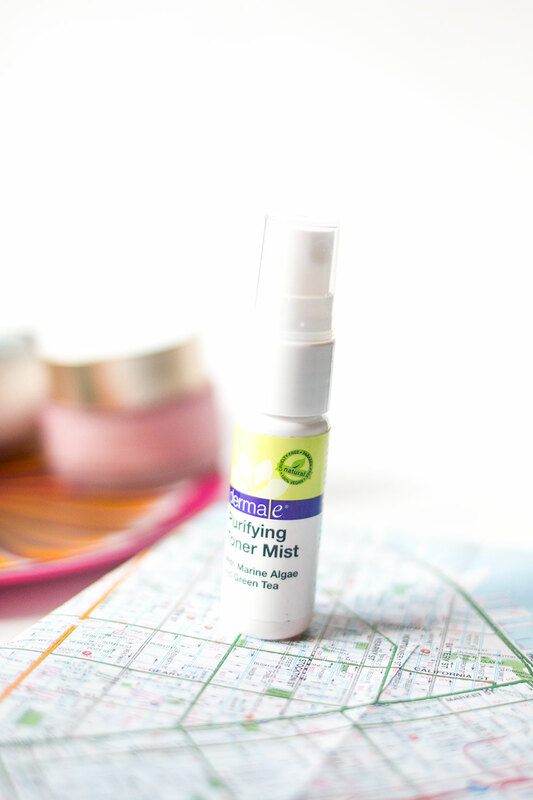 This particular Purifying Toner Mist is great for me for the transition between spring and summer because I’ve noticed the oil production in my T-Zone increasing. You know what that means, right? More blackheads, whiteheads, and breakouts. Boo. This toner is lightweight, easy to spray, and leaves my skin feeling hydrated without leaving my skin feeling suffocated. Plus, if you live where it gets really hot, a toner like this would be perfect in the fridge to cool the skin. What are some skincare products you use in the summertime? Do you notice a difference in your skin from season to season? I’d love to hear about your skin experiences in the comments below! Yes! I’ve totally noticed a shift in my skin these past few months! 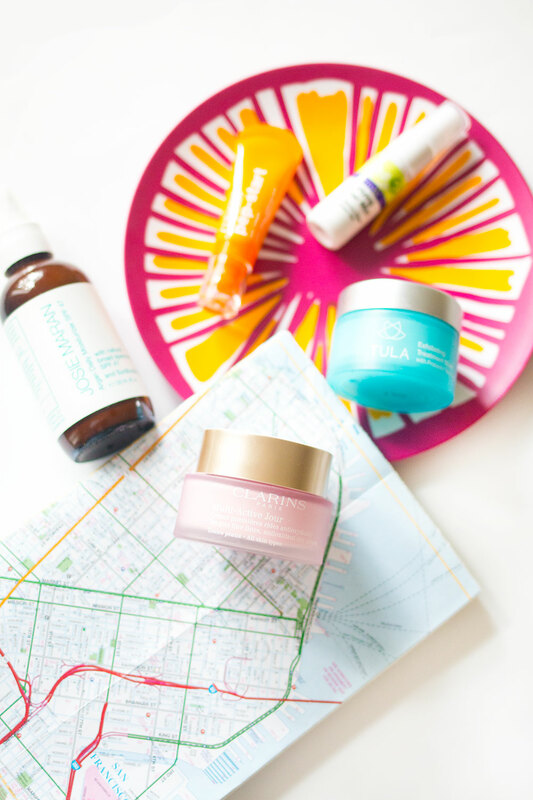 I would say my favorites are Susan Grace hands down – but I definitely want to try the Josie Maran line! I’ve been looking for a higher SPF moisturizer for the summer that doesn’t make me more oily than I already am, but omgoodness that one is expensive! I might have to treat myself though, it sounds great! 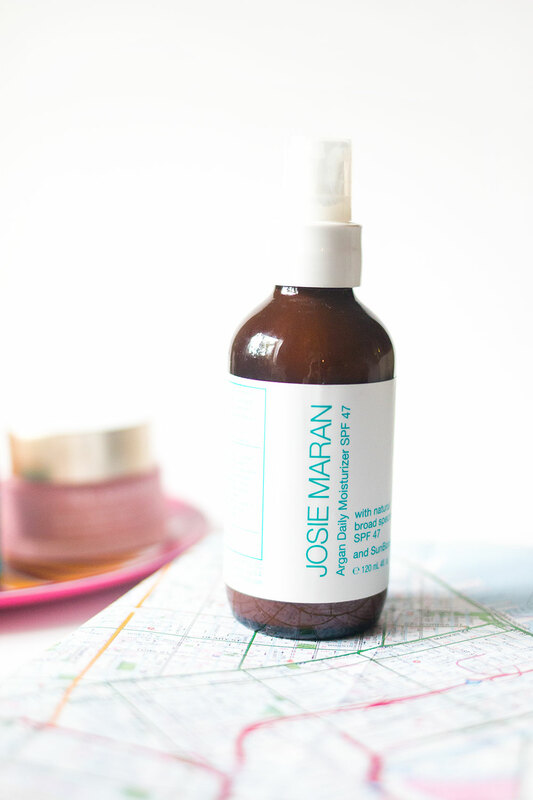 The Josie Maran SPF is pricey, but worth it for under my make up! I use Mineral Fusion Moisturizer with SPF 40 (it has Shea Butter as opposed to Argan Oil) on days that I’m sitting at home without makeup. However, it does go under makeup nicely and costs a fraction of the price! I keep reading good things about Clinique’s eye thing! 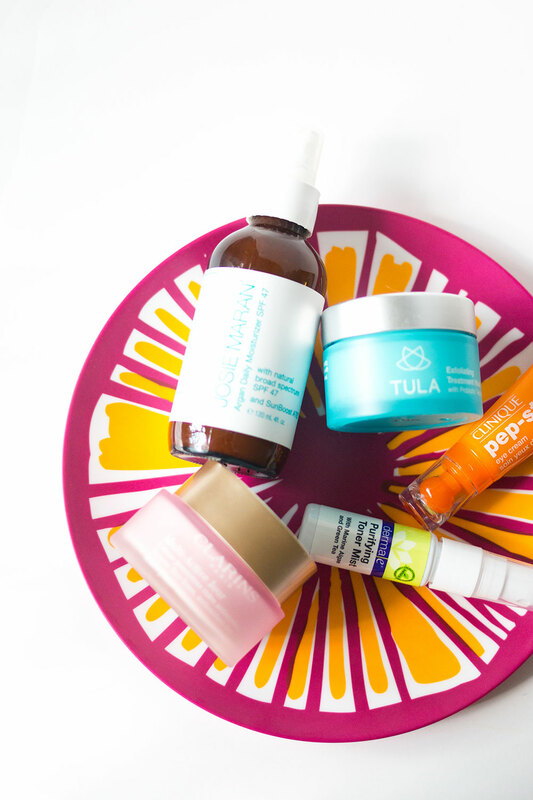 I’m obsessed with Tula, but I have yet to try their mask. Adding to my list! I want to include derma e Purifying Toner Mist on my list this summer season. Thanks! Season changes so do our skincare products. Been using moisturizer and SPF products for summer days to protect skin from harmful rays and possible skin cancer (which we don’t like). My skin is hard to adopt new season and it usually takes time to search for suitable skincare products.